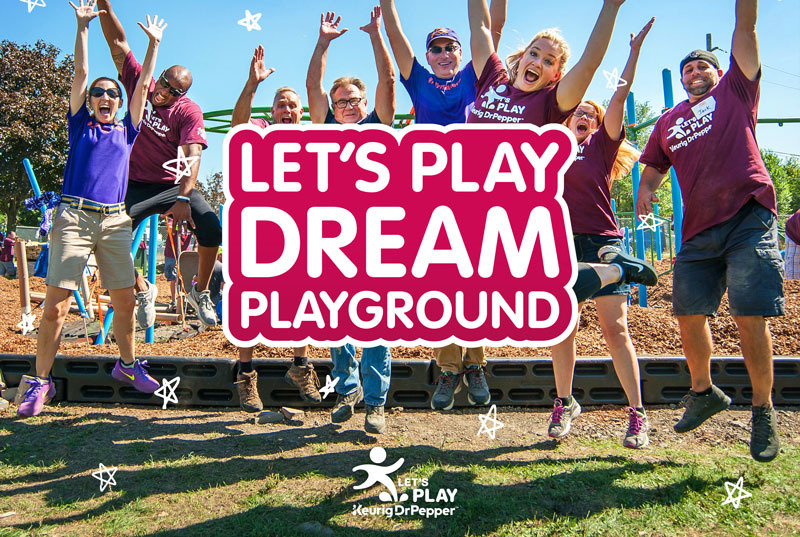 Together with Let's Play, an initiative of Keurig Dr Pepper, we're awarding five $20,000 playground equipment grants to communities through the Let's Play Dream playground video contest to get more kids playing. Learn more. The deadline to submit a video and apply is May 10! New, innovative play offerings are here! In response to demand from kids of all ages, KaBOOM! now offers two new types of playspaces: Adventure Courses and Sports Courts! A new playspace concept that transform everyday spaces into imaginative places for kids to play. Help KaBOOM! change the course of kids’ lives by ensuring communities can provide great, safe places to play. 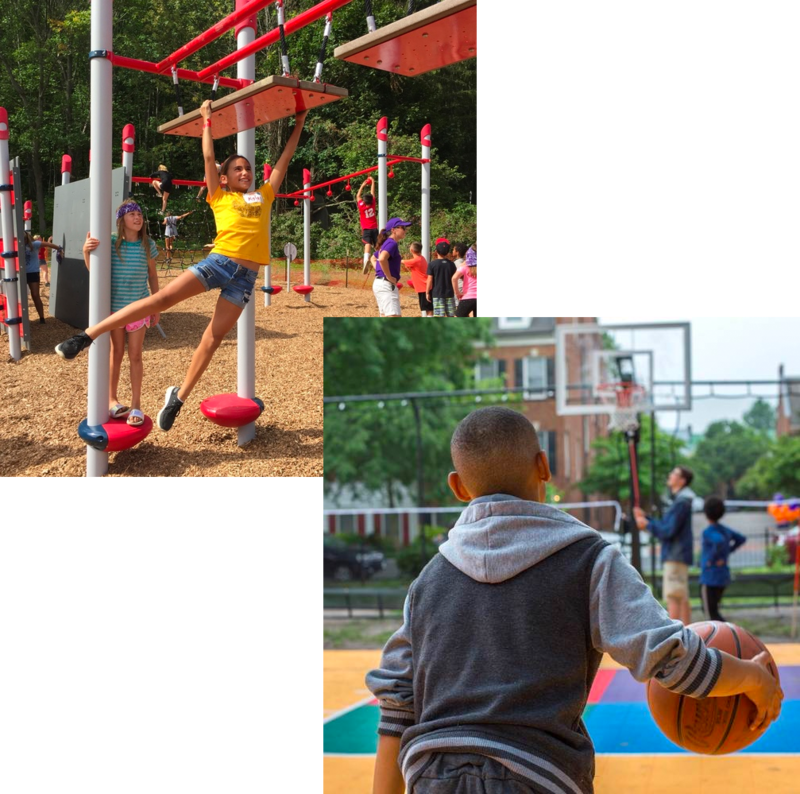 Opportunities to help communities take bold steps toward beginning or completing playspace projects. Find great playgrounds near you! The Map of Play is a community generated guide to playspaces across the United States. Find a playspace near your location or add, rate and review your family's favorite places to play today! More than 275 organizations have partnered with KaBOOM! to bring play to underserved children. As a result, our partners have engaged employees, empowered communities, built stronger brands and given kids the childhood they deserve.